Jimtown High School has enjoyed a very competitive and hard-nosed wrestling program over the years. Hall of Fame former head Coach Mark Kerrn is a huge factor in the success of a wrestling program in a school of less than 600 that has won a bunch of sectionals + had 3 state champions and dozens of state placers. Head Coach, Jerimiah Maggart stepped in last year after the retirement of Coach Kerrn and the program has not missed a beat. Coach Maggart has continued the Jimmies’ legacy of wrestling toughness and excellence. This year, the former Penn wrestling and football standout expects great things from the Jimmies as our roster will be packed several returning wrestlers including state champion, Hunter Watts + state placers, Matt and Connor Gimson and other talented returners. 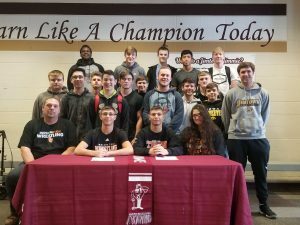 Today…the Jimtown Wrestling program had an historic moment as a brief signing ceremony was held in the Jimtown High School lobby. 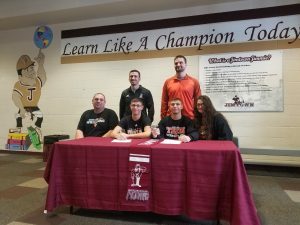 Both of the Gimson Twins signed their national letter of intent to continue their wrestling and academic careers at the the next level at Indiana Tech University in Fort Wayne, Indiana. The Warriors of Indiana Tech started wrestling as a sport just a few short years ago. 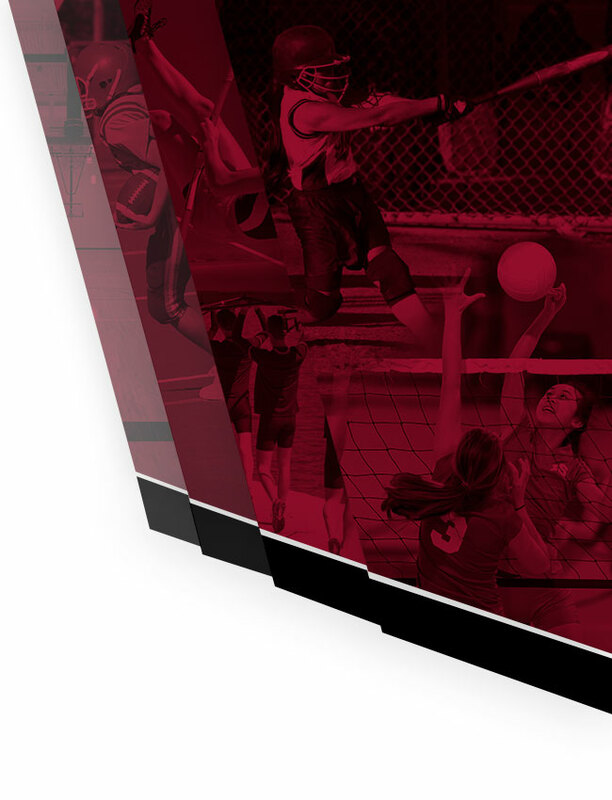 They are however a POWERHOUSE program already in NAIA. 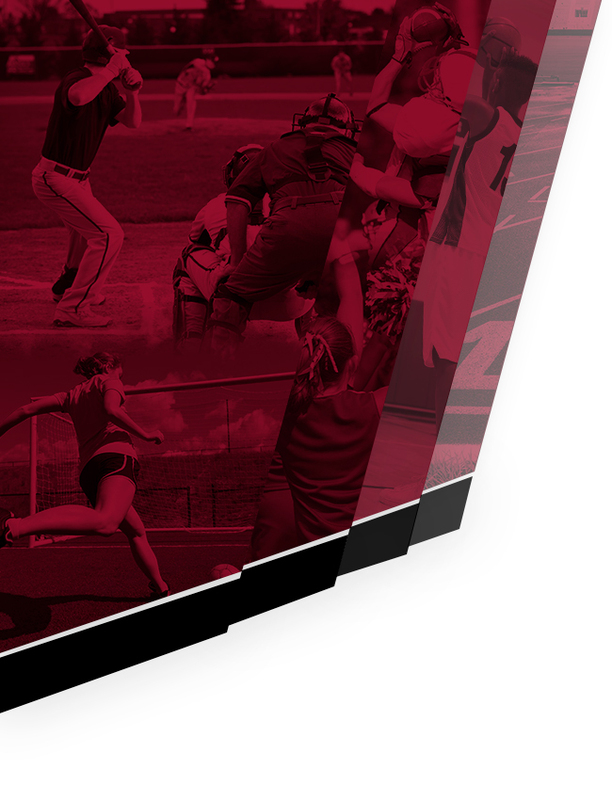 Led by Head Coach, Thomas Pompei, the Warriors are currently ranked #2 in the entire nation in NAIA. Former Jimtown stand-out wrestler, Collin Crume is also coaching with Indiana Tech. Both Matt and Conner Gimson have made quite a reputation for themselves in Indiana Wrestling. Both have gotten better as a wrestler each and every year at Jimtown. Both Connor (132) and Matt (138) were sectional champions last year. Both young men were also crowned as the Regional champions. In the semi-state, Connor Gimson ended up as the champion, but Matt was runner-up losing in a tough match in the championship. At the 2017-2018 State Finals in Indy, Conner ended up in 5th place in the state at 138. Since the end of the season last year, both Matt and Connor have certainly not been taking a vacation. They have been traveling all over the state of Indiana and the United States wrestling as individuals in all sorts of tournaments and invitionals. Both of them have indicated how excited they are for the season to get underway and are really looking forward to winning more championships and seeing if they can improve their spots on the podium at the state finals. Academically, Both Matt and Connor Gimson are excellent students. Both of them have a cumulative GPA that is over 3.5 out of 4.0. They are great leaders and very nice young men. After 4 years, I personally cannot tell them apart, but I really don’t have to. I know that both of these young men love wrestling…love Jimtown and will NEVER, EVER embarrass themselves, their family or their school. They are going to work their butts off, accept the challenges that come their way and let the results speak for themselves. I am confident that the legacy that they have and will leave with the next generation of Jimtown student-athletes is secure. Great job GUYS!! Congratulations and enjoy your senior year! !